 Spanning 19 miles from Cresco to Calmar, the Prairie Farmer Recreational Trail passes through some lovely Iowa farmland as well as the small communities of Conover and Ridgeway. A former Chicago, Milwaukee, St. Paul and Pacific Railroad bed, the origins of the railway through this area can be traced back to 1866. In Cresco, a restored Milwaukee Railroad diesel engine lives on at Beadle Park, just a half mile from the trail head. At the other end, in Calmar, don’t miss the historic rail depot that has been converted into an antiques store. The trail itself explores some of the only remaining native prairie land in this part of Iowa, traversing through meadows filled with spectacular native wildflowers as well as through scenic woodlands. Wildlife and birds are abundant, so be sure to have your camera ready. Be sure to stop by the Winneshiek County Freedom Rock in Calmar, a memorial to veterans and first responders. Artist Ray Sorenson aims to decorate a stone for each county in Iowa and his work is on display here. Plenty of parking as well as a public restroom are available on the south side of the restored train depot in Calmar as well.